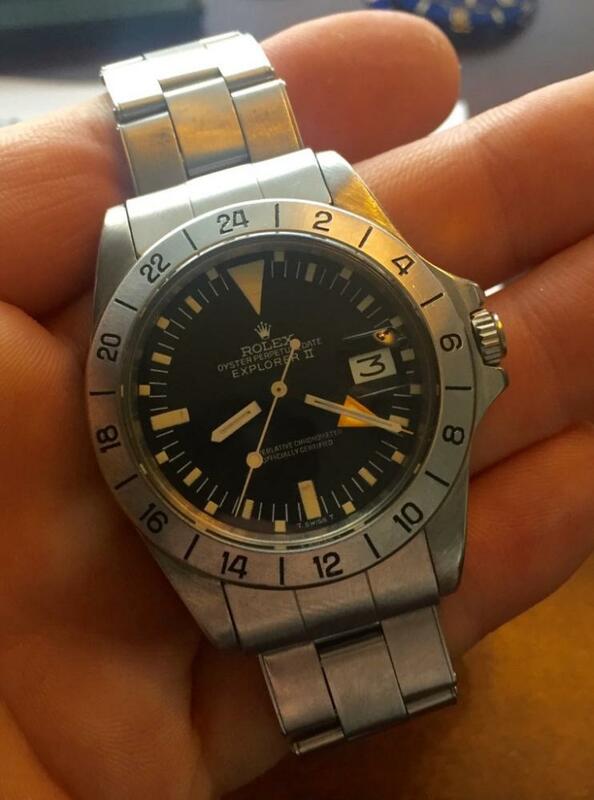 Up for sale is a 1972 Rolex 1655 Explorer II Mark 2 Dial and Bezel,3.3m Serial,1570 Movement, watch is running at COSC specs, the watch as tight rivet bracelet marked 77'with a strong crown on the clasp. Strong thick lugs and crown guards, original twin lock crown, silver date disc. I will give 3 days return if watch is not as described full refund excluding the shipping fee.